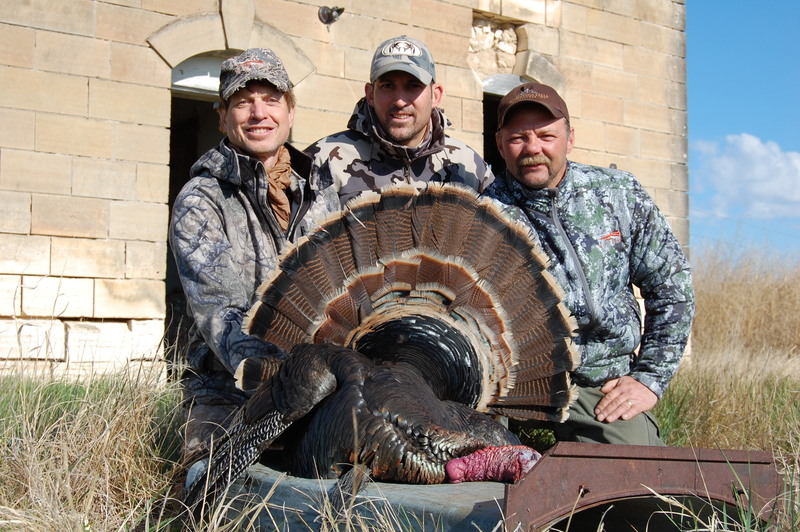 I received an invitation from Nathan Andersohn to join him, Archie Nesbitt & Steve Fiarchuk for a 4-day turkey hunt on Nathan’s farm in Kansas. I flew into Denver on Friday morning meeting Nathan, Steve & Archie for a 5-hour drive to Kansas. Steve was Nathan’s guide for Dall sheep, when Nathan shot his first sheep on the way to the first Grand Slam by a longbow hunter. Steve now owns and operates Christina Falls Outfitters in North West British Columbia and specializes in bowhunts for Mountain Goats, Canadian Moose, Elk and Stone Sheep. 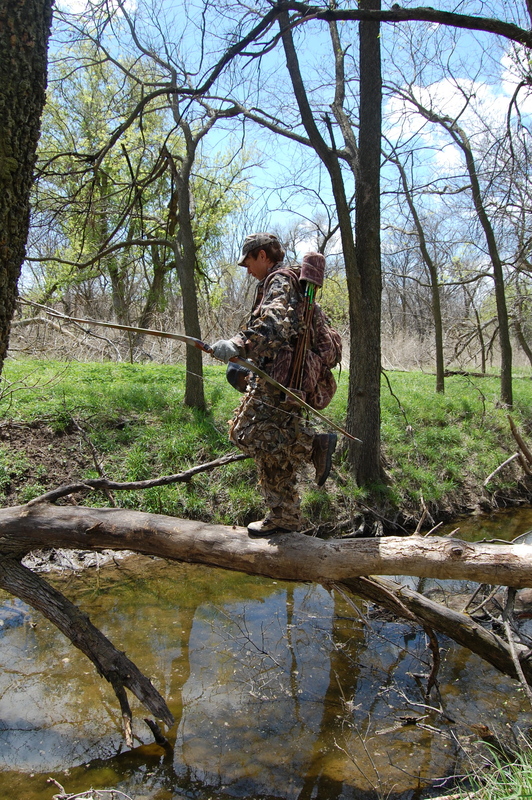 Steve has been a life long guide and outfitter, which gave us a lot to talk about. Steve has guided his clients to an incredible 86 rams as a professional guide. I first met Nathan yeast ago at the FNAWS convention in Reno. 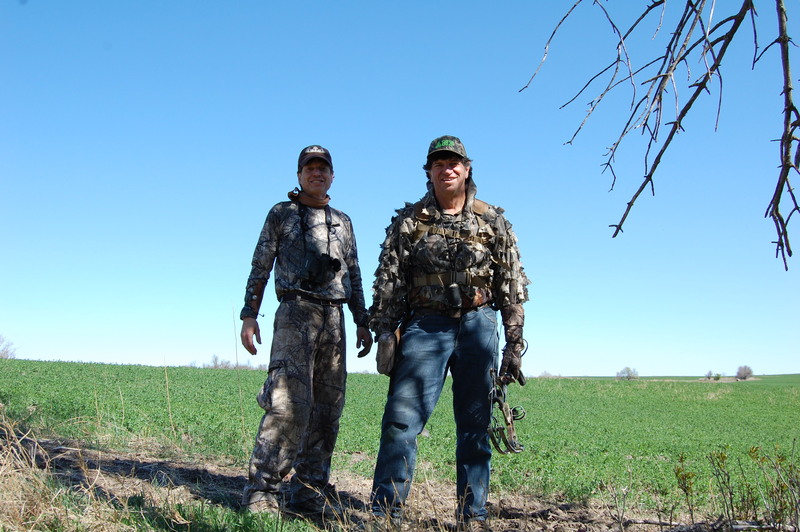 One Nathan’s biggest dreams has been to own his own farm, instill conservation and wildlife management practices to create a private hunting preserve. His 400-acre farm purchased 4 years ago is everything he has dreamt about and more. 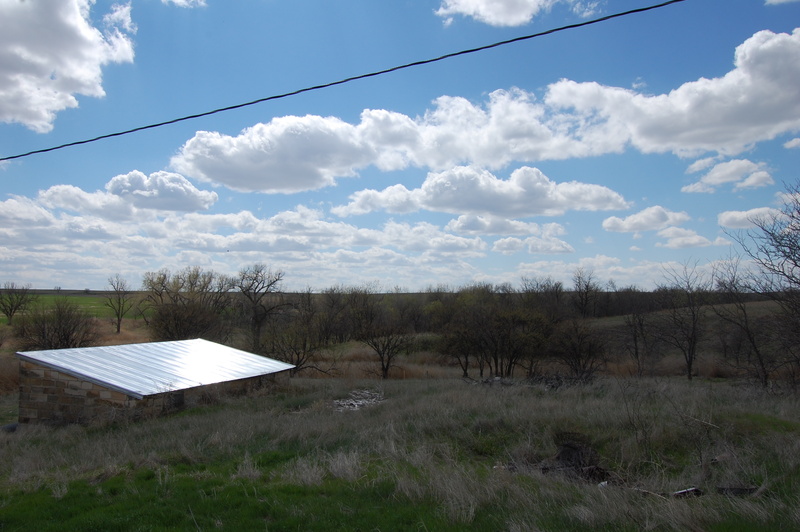 Besides being absolutely beautiful, this place is loaded with big Kansas Whitetails, Turkeys, Quail, Doves and Rabbits. 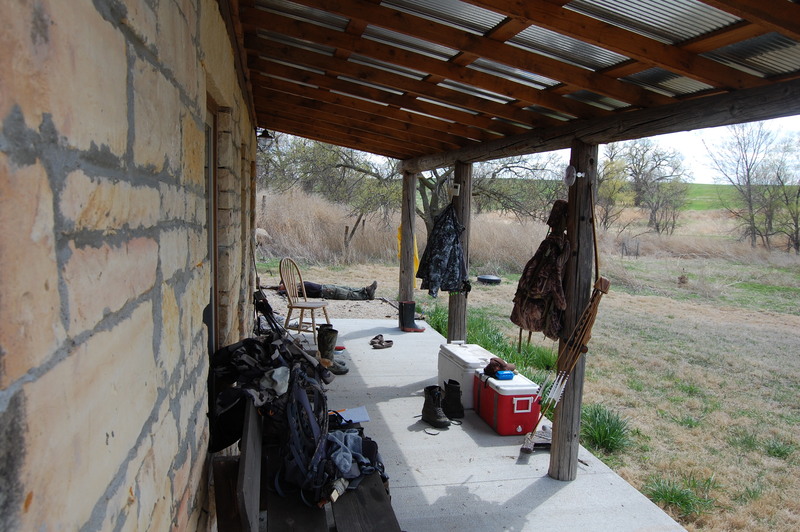 It is truly a sanctuary and I felt privileged to hunt in such an amazing place. This was my first trip to Kansas and this is exactly how I pictured it. 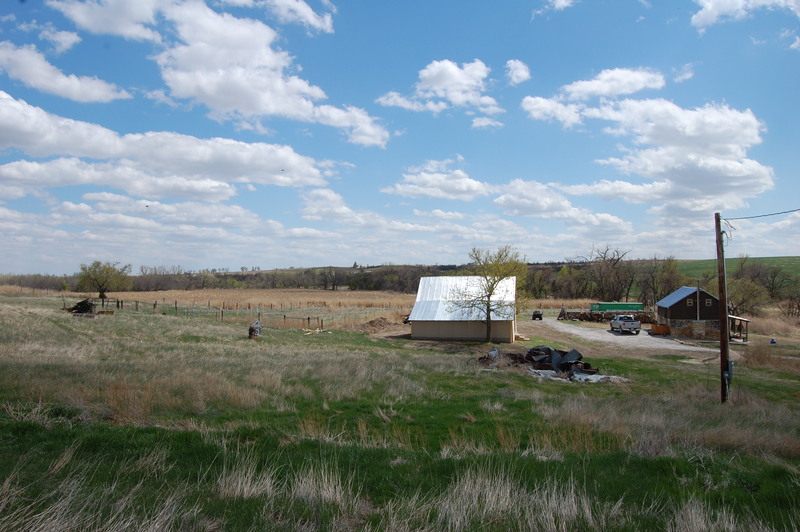 Rolling hills with corn, wheat and alfalfa that frame a river bottom loaded with hardwoods and dense cover. 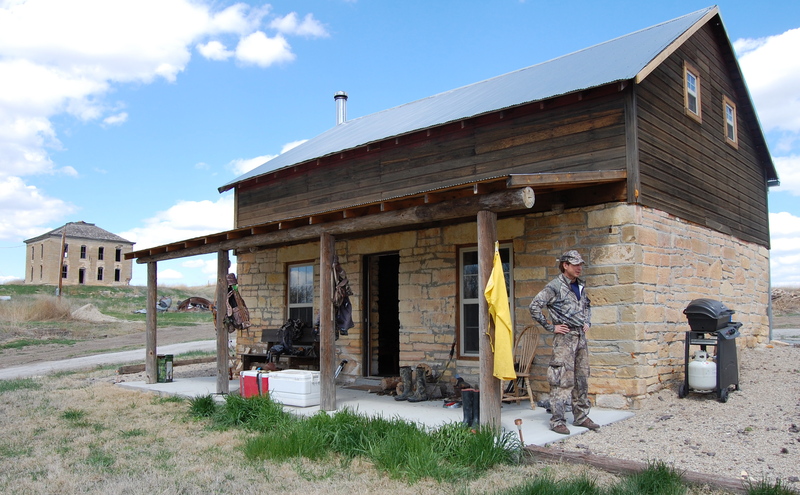 In the center of the property, Nathan converted the old horse stable, built in the early 1900’s, into a classic 800 square foot hunting cabin that includes a tin roof, wood burning stove and front porch. 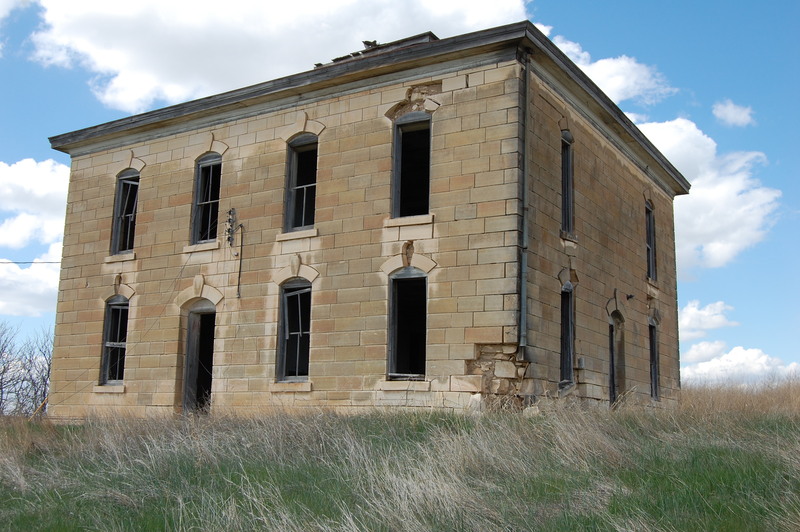 There is an old limestone mansion that sits above the cabin built by the family who originally owned this property at the turn of the century, which adds to the feel, and lore of this farm. On Saturday morning I had the pleasure of calling in Archie’s 1st ever Turkey. I felt honored to be part of Archie’s bird, a man who has hunted the world and set over 88 world records with a bow and arrow. He is a very humble, generous and gracious. Archie has a new show on the Sportsman’s Channel I recommend called The Ultimate Shot. Archie hunts lions, leopard, Cape buffalo and other dangerous game throughout the world. He showed us one if his 1st shows and his footage it is seriously breathtaking! Enclosed is a photo essay of our four days down on the farm. 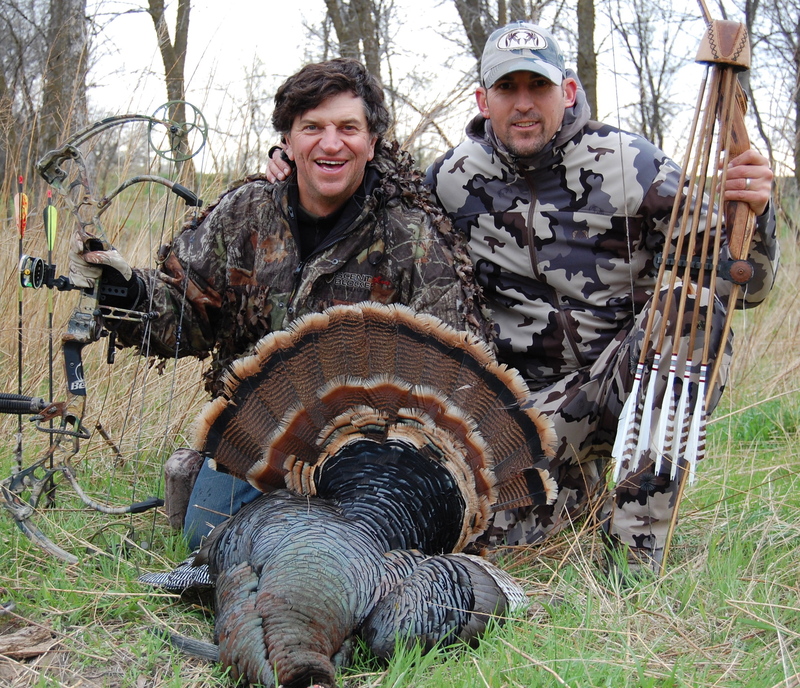 I hope you enjoy the photos and have the chance to hunt Kansas sometime. It is a remarkable place. Birds and Bows!!! What a perfect way to start off. The smiles tell it all… Nothing like arrowing a bird, to mildly suppress, the eagerness for the coming result’s being posted (on the draws for Big Game); As time seems to move at a slower than normal pace, awaiting!!! Thanks Jeff. 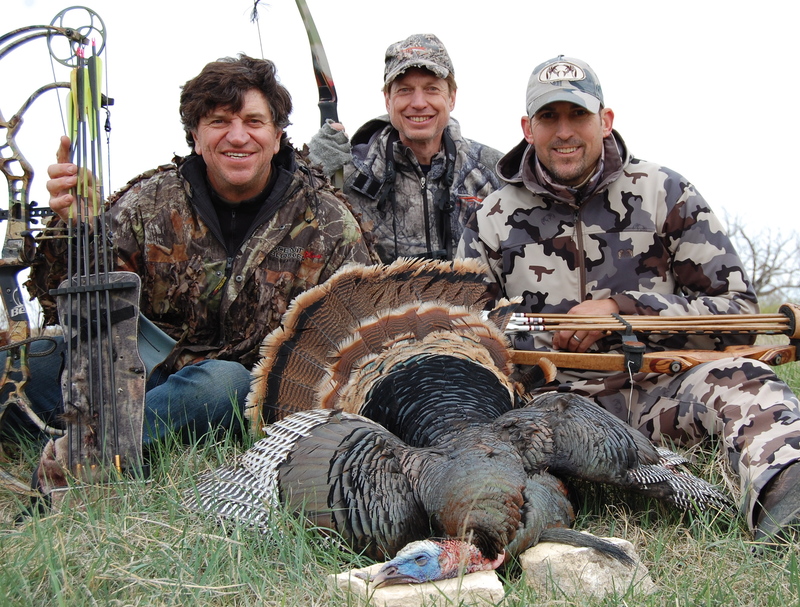 Spring Turkeys are certainly a treat! How cool!! Definitely like your camo pattern over the others. 🙂 I hope to get out really soon myself. Turkey season end on the 31st. Sounds like a great time! Archie is legendary for sure, what a cool experience. What’s the story on that old brick building? Yea, his stories are endless!! Great guy to hunt with for sure. It is made from the local limestone and dates back to the turn of the century. I do not have all the history of it, unfortunately. Sounds like you guys had a good time and put a bird down to hoot! Congrats! What was your experience with Vias in the Midwest? 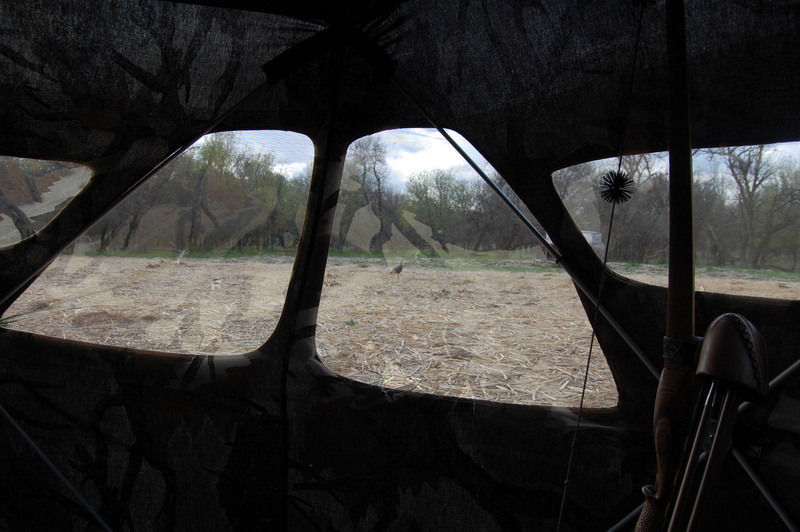 Were you in ground blinds most of the time or leaning against a tree? As a Midwesterner I am curious to see how it fairs against traditional patterns in the hardwood river-bottoms and agricultural fields. I know that it breaks up the human form effectively, just looking for some insight. On another note, I just got the spindrift jacket on Friday and I have to tell you it is the coolest jacket I own now. I was at the Cubs game on Saturday and it was in the high 40’s with some steady wind and light rain all day and I was dry as a bone and toasty. I hope to get some more stuff later this year, thanks for making awesome gear. Cheers. I think it works really well in hardwoods. I hunted in blinds and also on the ground. At one point I had two toms under 25 yards on either side of me strutting and I did not get busted. Archie, Nathan and Steve are all believers after seeing it in action. Congratulations Jason!!!! Seem like some nice hunting days. Archiee has hunted a lot, must be nice sharing camp with him. Keep stories coming. Have a nice day. I enjoyed the pictures. Sounds like a great trip. Your camo looks good. Hey Jason, great pictures. How’s status of the backpack? Also thanks for the link. Hopefully we can try again next year.